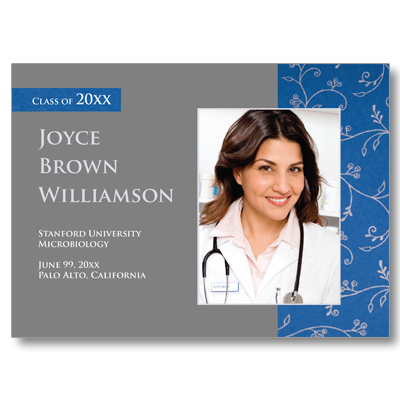 This graduation announcement combines sophisticated gray with a softly textured, rich blue fabric. Display your photo prominently alongside information about the graduate. Card measures 7x5.